Here in Australia we are in the midst of a Federal election campaign, and one of the biggest issues of concern to the electorate (quite rightly) is the global warming crisis. Leaving aside the fact that it is a global issue, so international agreement rather than changing your local member is the only effective way to address the issue, the issue is tending to favour the parties on the 'left' (Labor and the Greens) at the expense of Conservative parties. On the one hand this makes perfect sense, as global warming is an issue where being progressive and 'taking action' is the only way to solve the problem - being conservative and resisting change ('do nothing') is a recipe for disaster. Unfortunately, the change being pushed by leftist parties is based on pseudo-scientific justification for their neo-communist, anti-western/capitalist policies. 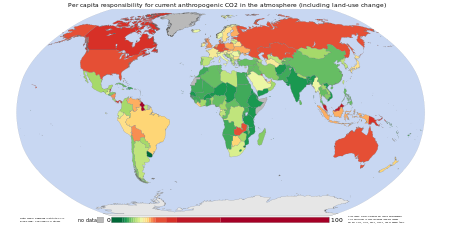 They use the raw 'per capita' emission data as an excuse to lay the blame for global warming entirely at the feet of developed countries, while the reality is that the root cause of the global warming crisis was (and is) global overpopulation. While one person using air conditioning and driving an SUV is bad for the environment, ten people doing so is ten times worse! 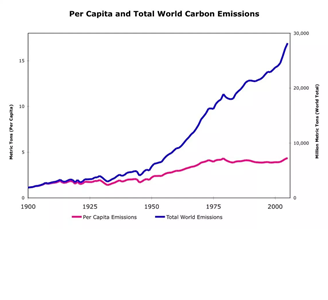 By choosing to frame the global warming debate purely in terms of the scientifically invalid ‘per Capita’ measure (which they justify using a spurious notion of ‘fairness’ - make the rich pay), they can ‘prove’ that global warming is entirely due to the big, bad capitalist developed countries, and give the true source of the global warming crisis for the next fifty years – China and India - a free pass. While this will undoubtedly achieve the Labor/Green goal of Robin Hood economics (steal from the rich and give to the poor), it is also a recipe for global climate disaster. 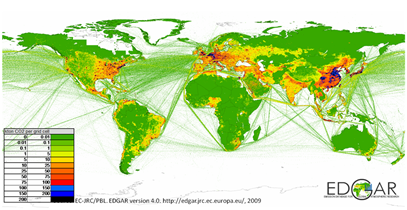 The developed countries are going to spend a fortune on achieving heroic 'per Capita' emission reduction targets, while the developing countries and going to both a) not have to meet the same 'per Capita' targets, and b) also continue to stoke the engine driving climate change - unsustainable population growth. In fifty years time my children will be suffering from the impacts of global warming, in world with a population having grown by around 50% above current levels - to around 10 billion. And I'm pretty sure the left-wing parties will still be blaming the problem on 'insufficient action' by developed countries, and not on the extra 2.5 billion people added to the global population in the interim. Well, my financial planning business is now in 'soft launch' mode, with a website, Facebook page, yellow pages entry etc. all 'live'. I delivered an initial batch of ten brochures to a local gated estate (the letterboxes were nearly all marked 'no junk mail', but as I'm not a direct mail company, and the letters were individually addressed, I ignored that - on the other hand, the occupants will probably ignore my letters). It was amazing the amount of time I ended up spending on printing brochures, folding and stapling them, creating a mailing list in excel (by looking up local street addresses on google maps), and then getting the mail-merged envelopes to print out correctly using manual feed (one-at-a-time, or the printer jams). Oh, and I also wasted time creating a mock 'stamp' to print on the envelopes (supposedly this makes them more likely to be opened, rather than going straight into the bin). I'm planning to print and distribute around 50 letters/brochures a week from now on. As there are around 20,000 households in the six local postcode areas, I won't run out of letter boxes any time soon. I'll print out another 20 envelopes tomorrow and deliver them in the evening, so that they should end up mixed in with the official mail sitting in those letter boxes on Thursday, and hence be more likely to be opened. And hopefully the Easter long weekend might encourage people to read the brochure ('Financial Health Check - 14 questions you should ask yourself'). Whether anybody actually decides to phone me or make an appointment only time will tell. According to general statistics about direct mail campaigns, the response rate is often around 2-3%%, so I'm aiming for a marketing 'funnel' of around 200 letters/month > 4 -6 responses/month > 1-2 initial (free) meetings booked > ~1 new client per month. Once I put some finishing touches on the website I'll setup Google and Facebook Ad campaigns to drive targeted (local) traffic to my website. Hopefully that also generates some online bookings. My uni studies are going OK so far - my GPA for the first two subjects is 6.5/7 (conincidentally exactly the same as I ended up with for my Master of Astronomy degree). I've only enrolled in one subject per semester this year (as I also need to squeeze in the four subjects for the ADFP course I'm enrolled in, and then complete a TASA (Tax Agent Services Act) mandatory course before the end of this year) as I want to keep my GPA above 6.0 so I qualify for the "Dean's List". If all goes well this year, I'd like to do all the remaining seven subjects next year and finish off the Masters degree, and I also want to get the Financial Adviser exam out of the way next year (the deadline for passing the exam is 1 Jan 2021). 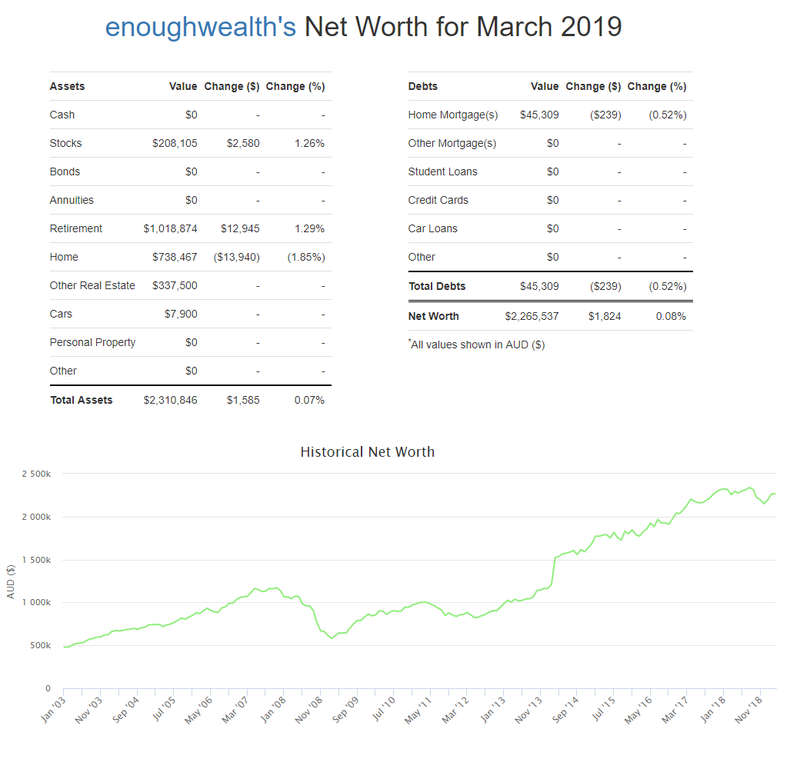 There was a modest rise in the valuations of my retirement savings and geared shared portfolio (both up around 1.3%) which was offset by another -1.85% decline in the valuation of my half of our home. 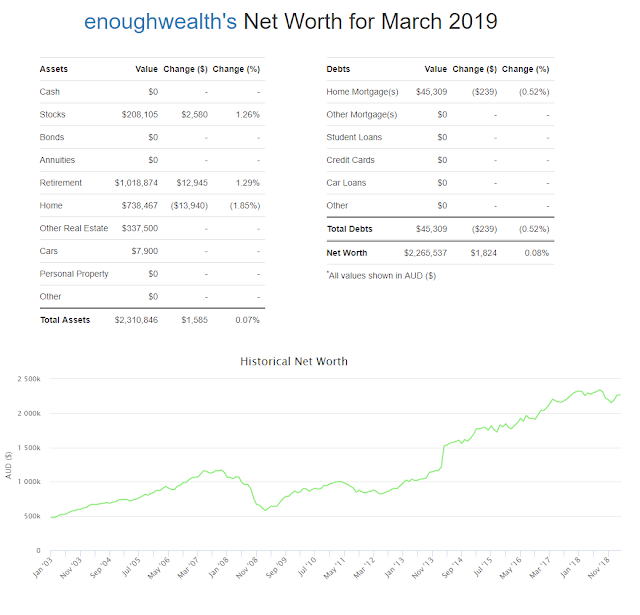 Overall, my net worth was almost unchanged, gaining $1,824 (0.08%) during the month to $2,265,537. Still below my all time peak, with my NW tracking sideways for the past 18 months or so. Funding my university studies and running costs of my start-up financial planning business continue to cost around $2,500 per month. I completed the second course (out of twelve) for my Master of Financial Planning degree. So far I've received on HD and one D, with a GPA so far of 6.5/7 - coincidentally exactly the same as my average for the Master of Astronomy I did previously ;) I'm aiming to average 6.5 or above, and would like to get on the "Dean's List" each year and possibly get another academic medal for Masters by Coursework. I didn't get my website finished off during March, so that is my immediate business development goal. I've printed off a couple of hundred brochures to direct mail to local addresses (I'll do the letter box deliveries myself, as I need the exercise) and will see if they achieve the typical response rate of 2-4% (ie. I should get around 2-4 phone calls or bookings for a free initial appointment for every 100 brochures I deliver). I plan of delivering around 50 brochures each week, testing minor variations, and hope to achieve around 4-8 responses per month, which *should* result in 1-2 new clients each month. Since I haven't had a client yet, this is all very theoretical at the moment.